Received these in 2017 as a gift, still my favorite socks to date! 10 Comments on Received these in 2017 as a gift, still my favorite socks to date! You don’t need to date your socks, they will happily proceed straight to fourth base. I wish I could order more. Awesome shoes – What are they? I have some that are grey and orange! I love em! Those are pretty awesome. All I ever get are plain white, or plain black socks. Show them off more by wearing highwaters? 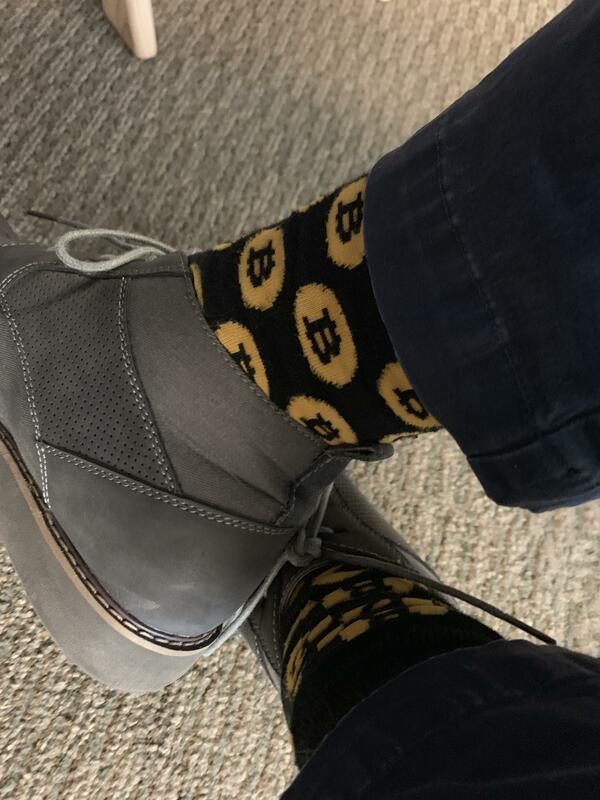 did you got them at the North American Bitcoin Conference ? got mine there but they are full of holes too. Id like to buy new ones if anyone have a link.